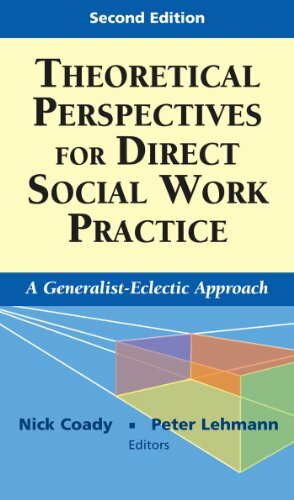 "Finally, a social work practice text that makes a difference! This is the book that you have wished for but could never find. Although similar to texts that cover a range of practice theories and approaches to clinical practice, this book clearly has a social work frame of reference and a social work identity. Nick Coady, Ph.D. is Professor and Dean, Faculty of Social Work (FSW), Wilfrid Laurier University (WLU), Waterloo, Ontario, Canada. Dr. Coady has been with the FSW/WLU since 1994, and prior to that he taught in the FSW at the University of Calgary for five years. His teaching has been in direct practice, and his practice background includes residential child welfare work, individual and family counseling with high-risk adolescents, and group work with abusive men. Dr. Coady’s research, teaching, and publications have focused on the importance of relationship factors in direct practice. His recent research has involved an exploration of good helping relationships in child welfare and men’s experiences of child welfare involvement.